Elmer's started as a very small restaurant with only five tables. When news got around about the quality and the deliciousness of the food we were able to expand our vision into a full service restaurant. Our expanded restaurant now has 22 tables and seating for 80 people inside and patio space for 12. 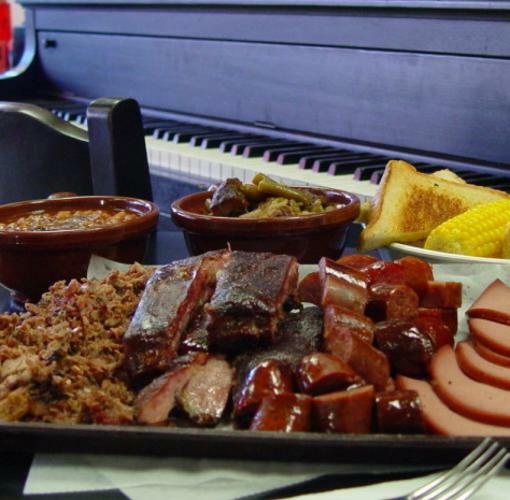 Customers from all over continue to enjoy the food, the outstanding customer service they receive, and place us at the top of the list of their favorite BBQ restaurants. Our goal is to offer our customers great food at an affordable price. We guarantee freshness in all of our meats & ingredients preparing each food item to "Be Bad!" just the way our customer's like.